It’s perhaps ironic that during winter, the darkest and most coldest season of them all, one of the biggest dangers for motorists is the sun. You’ll know the feeling of having no other choice than to squint or close your eyes when the sun dazzles you, and doing that whilst driving can be a dangerous, yet avoidable, issue. Glare problems persist all year round, but during the winter it’s particularly dangerous because the sun is low in the sky during the morning, which is when the roads are at their busiest with people driving to work and taking their children to school. There’s also the additional issue of the sun reflecting off snow, ice and water on the road. An AA report released earlier this year claimed that sun glare is responsible for 36 deaths every year and causes nearly 3,000 accidents. Due to the danger associated with turning corners whilst temporarily ‘blinded’, most accidents occur on minor roads, rather than on the motorway. The report states that of the 2,905 accidents caused by sun glare last year, 1,203 were on A-roads, 428 on B-roads, 1,222 on other minor roads and only 52 were on the motorway. Here are five tips you can use to ensure you drive safely and counter the damaging effect of low winter sun. With sun glare reducing visibility, it’s vital that you ensure your windscreen is clean and free of debris. Regularly check your windscreen washer fluid levels and top up when necessary. If you’ve got debris on your windscreen then the sun’s reflection will scatter through, making it even harder to see. As soon as you notice your windscreen starting to look a bit on the grubby side, give it a quick spray, but if you’ve got stubborn marks that won’t budge then clean the windows properly or head to a car wash immediately. It’s also important to note that your wiper blades must be in good condition because they’ll fail to properly clean your windscreen if they’re worn or split. Wiper blades are fairly cheap to buy and simple to attach. Drive with caution and resist the urge to brake suddenly whenever you become temporarily blinded from the sun. Approach junctions with particular care and ensure each direction is clear of vehicles before you set off. This might sound like common sense but with reduced visibility it’s so easy to miss an oncoming vehicle. Remember that the speed limit is the maximum speed you can drive at in a particular area, it’s not always safe to drive at it and if you feel unsafe don’t hesitate to drive slower. Once autumn comes rolling around it might seem logical to put away your sunglasses until the following spring, but during the winter months it’s absolutely crucial you always have a pair in the car. Don’t just buy any old pair (a cheap one or one that you just like the look of) and polarised lenses can be particularly recommended for driving as they will be more efficient at reducing glare because most of the dazzling reflections will be horizontally polarised – while the sunglasses will be polarised vertically. Whilst you might have to pay a little bit extra, they might just save your life. Typically people don’t buy sunglasses in the winter and that means you’ll often be able to purchase them at a discounted price. Remember to remove your sunglasses before you drive into a tunnel. If you don’t, your vision will be restricted, even in tunnels that appear to be well-lit. Visors are always a great way of reducing the amount of sunlight you get in your eyes. Make a habit of constantly having it down during the winter months. Remember that most cars allow you to swivel the sun visor to the right to counter glare coming in from the side window as well. If there’s a different route you can take to work, one that is lined with tall trees or buildings, then use it. It might take you a little bit longer but it’ll be far safer and you won’t find yourself constantly lowering your speed whenever the sun dazzles you. Ask around for people’s recommendations or even have a look on Google Street View to see which routes will be safer. 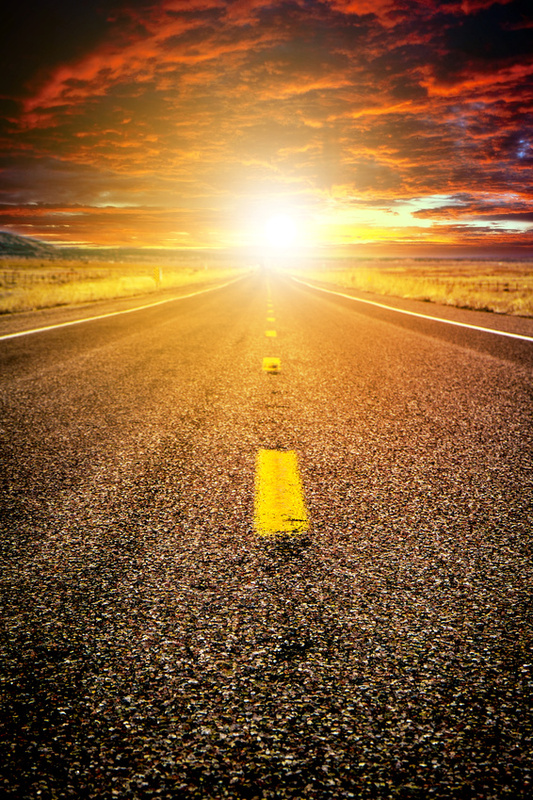 Keep in mind that other motorists on the road will be suffering from sun glare as well, and if they haven’t read this blog post, they might not be wearing sunglasses! Avoid braking heavily because the car behind you might not be able to react in time, and keep ample space between you and the car in front of you in case they brake heavily themselves. Pay even more attention to cyclists and pedestrians because they’ll be even harder to spot when the sun is low. Take note of where the sun is in the sky at all times; if it’s behind you then it’ll be in the eyes of the cars driving towards you, so be aware that they might not be able to see you. Dipping your headlights is a great way to ensure you’re clearly seen by the oncoming traffic. A lot of these vehicle checks, such as checking washer fluid levels, you will be able to do yourself but it is important you also regularly service your vehicle at a trusted independent garage. This will ensure that your car remains roadworthy and safe, even in potentially dangerous weather conditions. To find a garage you can trust, enter your postcode in our online garage finder here. Posted on December 20, 2013, in driving tips, Motoring, winter driving and tagged Driving, driving tips, Glare (vision), sun glare, Windscreen wiper, Windshield, winter driving, winterd. Bookmark the permalink. 2 Comments. I got some coating on my glasses there last fall and that really helps alot too. I am glad you guys asked because I don’t know anything. I think it was Crystal or something like that.